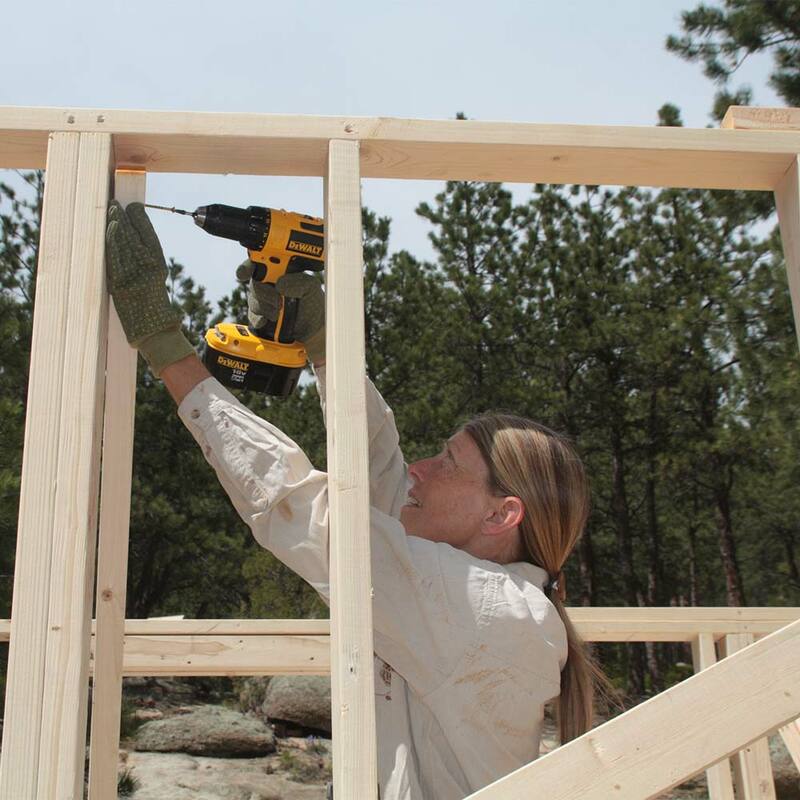 Byron Fears as head creative and Dot as Co-Creative are both designers of custom built SimBLISSity Tiny Homes, located in Lyons near Boulder, Colorado. Byron’s love of Tinys led him and his wife, Dot, to a path of building for, and ushering people towards, more sustainable and size-appropriate lifestyles. 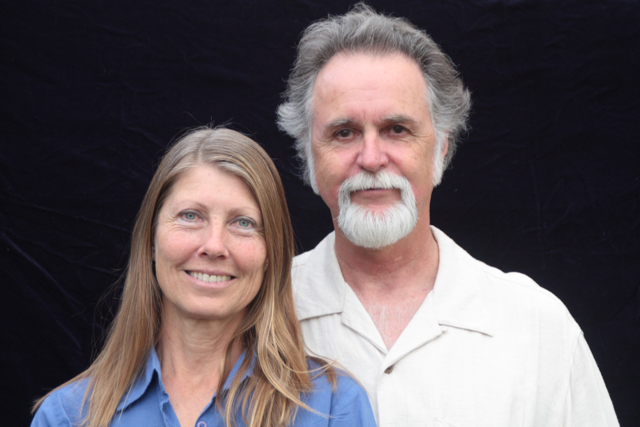 Byron and Dot live off-grid in Bliss Canyon near the utopian society of Boulder. They are a living example of alternative and sustainable living. Their closest neighbors are moose, black bears, deer, mountain lions, fox, big horn sheep and an occasional elk, their most favorite neighbors ever! The dynamic-duo and world adventurers always strive to prove that “Not all Tinys are created equal!” and take great pride in building sustainable Tiny Homes to help support sustainable lifestyles in hopes of a sustainable future for the Planet Earth. Byron’s experience living Tiny in sailboats, vans, and RV’s combined with fine-home building experience result in beautiful, space-efficient and comfortable Tiny Homes on Wheels. Byron loves to be a “voice of reason” to make your dreams of Tiny living a happy and successful reality. With his extensive experience building Tiny Homes he is often engaged as a Key Note Speaker at Tiny House events. Dot is a Naturalist, wildflower specialist, nature lover and protector of the environment. All Tiny Homes are designed to flow well and fit in with natural environments. SimBLISSity attempts to use the “greenest” materials practical and are devoted to recycling everything possible. Lasting Strength! Our homes are custom built to last a lifetime and longer, with all the storage needed for an active lifestyle. Built for four-seasons, our Tiny Homes are designed to provide utility, endurance and comfort, year after year. SimBLISSity Tiny Homes is providing a new paradigm in living by building Tiny Homes on Wheels that are built with minimal resources and are less energy consumptive. Perhaps the greatest “green” virtue of Tiny Homes is their small size. Only a fraction of the building materials required to build the average home is necessary for construction of our Tinys which host a Great Room, Gourmet Kitchen, Bathroom and up to two sleeping lofts. We build homes on wheels to minimize environmental impact in its home location. Exterior materials are chosen for their longevity and minimal maintenance needs. Energy use is significantly reduced for the heating and cooling of a Tiny Home. Additional energy savings are realized with the high R-24 to R-28 insulation value of the walls, ceiling, and R-24 to R-48 in the floor. We achieve this by using closed-cell, spray-in foam insulation with a high altitude, anti-microbial formula which is guaranteed not to off-gas for 99 years once hardened. Air quality is further preserved by minimal use of interior finishes. Our use of many Low-E, double pane windows with foam insulated frames helps to reduce heat gain in summer and heat loss in winter. The abundant windows flood the home with natural light, reducing the need for artificial lighting and also provide excellent cross-breeze ventilation to reduce the need for air conditioning. The tankless or on-demand water heater eliminates the need to continually keep water hot, which again reduces energy needs. SimBLISSity’s goal is to use sustainable building materials whenever possible. This is one reason for our extensive use of Beetle Kill or Blue Stain Pine. Live trees are not cut down for this purpose. We make the best of the situation by utilizing the beautifully stained wood. Cork is another example of a sustainable material often used for flooring in our Tiny Homes. Our homes are designed to be grid-tied or easily converted to a solar PV system. Extensive use of LED lighting and Energy Star rated appliances add to the energy saving qualities and make solar energy usage more attainable. homes for sustainable living to support a sustainable future for our planet!